With the exception of Paris, Barcelona, Amsterdam, and Carcassonne, France, all of Mademoiselle’s many travel destinations so far have been different from mine when I spent a year abroad in France. Her first excursion was to Collioure. Mademoiselle and I have similar tastes in art, and she is much more knowledgeable than me about history. And we both adore the beach! Quelle jolie carte postale, n’est-ce pas? 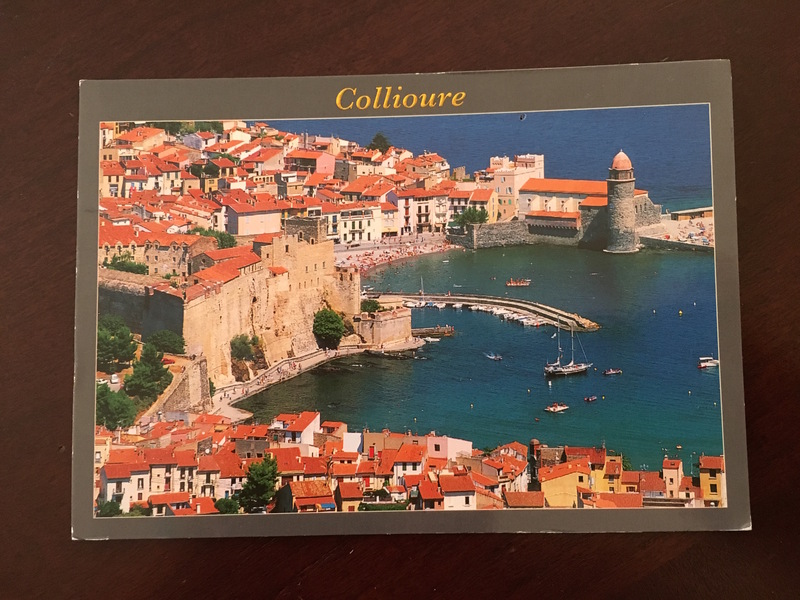 This is from our excursion to Collioure, a medieval port town that’s known for its art scene. Apparently painters like Picasso and Matisse lived there at one point and painted the scenery. Also visited the castle that was once controlled by the Visigoths, the Spanish, and the Huguenots at some point or other, and then laid on the beach (far right).